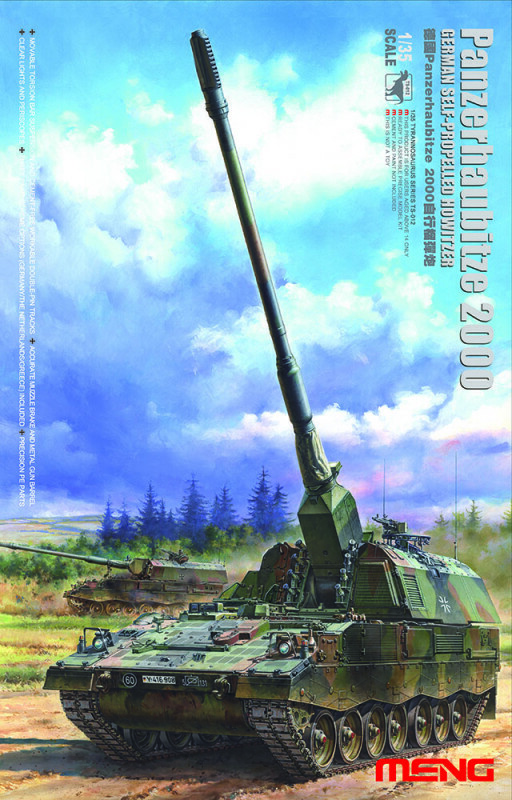 The Panzerhaubitze 2000 (in short Pzh 2000) is a self-propelled howitzer used by different countries like Germany, Italy, Greece and Holland. 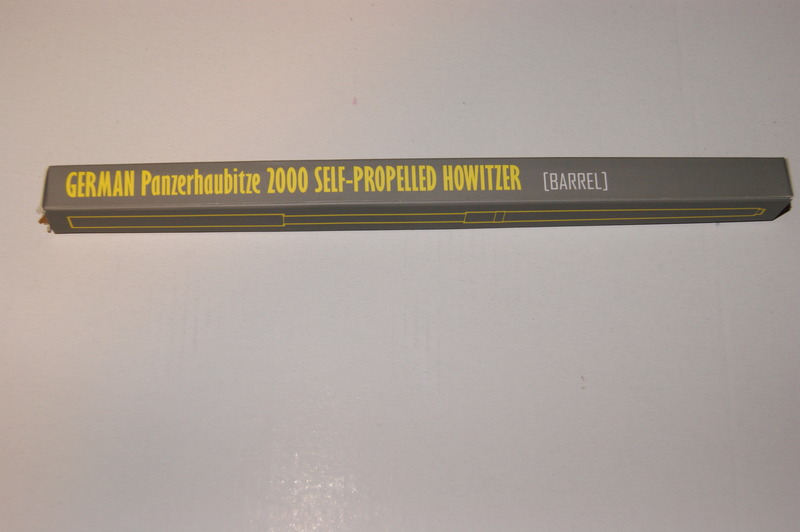 The Germans who usually used animal names on their vehicles couldn’t find a suitable name for this Howitzer so the factory designation Pzh 2000 was kept. 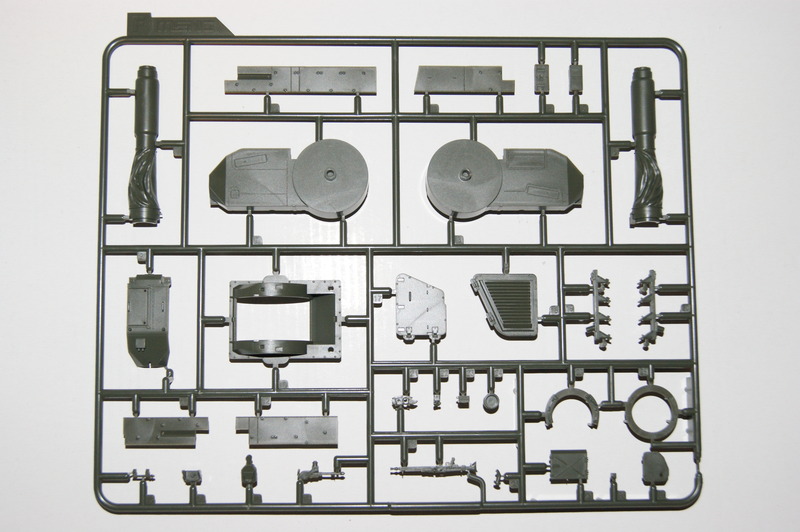 This auto shell loading howitzer has a range up to 30 kilometers with the standard ammunition and 40 kilometers with the rocket assisted ammo. 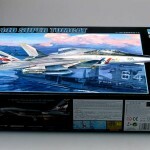 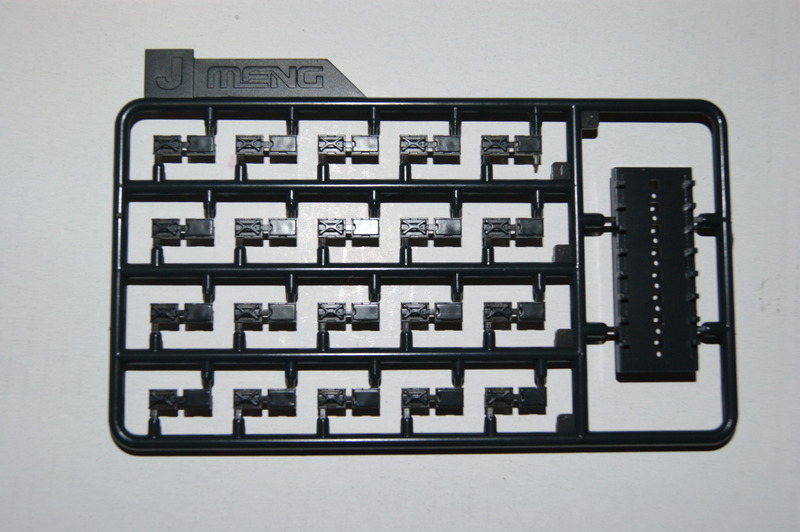 The boxart of this Meng kit is somewhat different than usual. 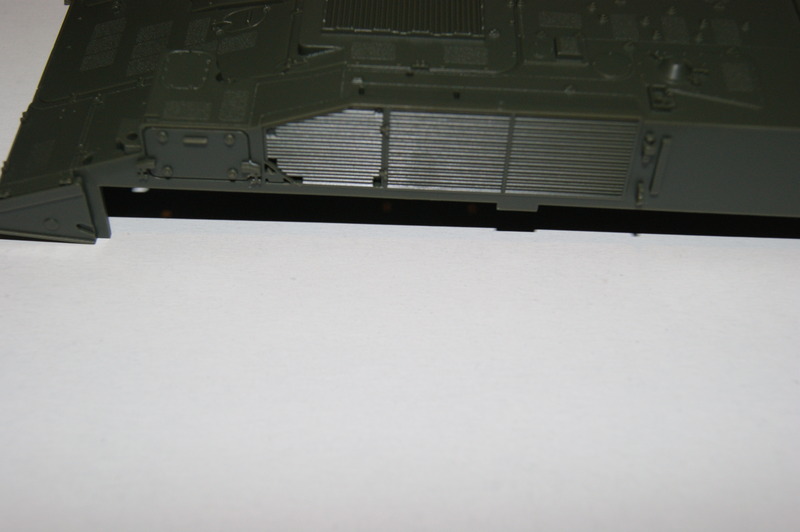 Most boxarts use the width of the box. 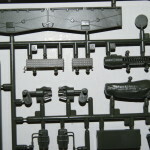 This one uses the height of the box to show the big gun in its upright position. 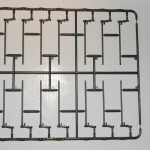 They even made a puzzle out of it. 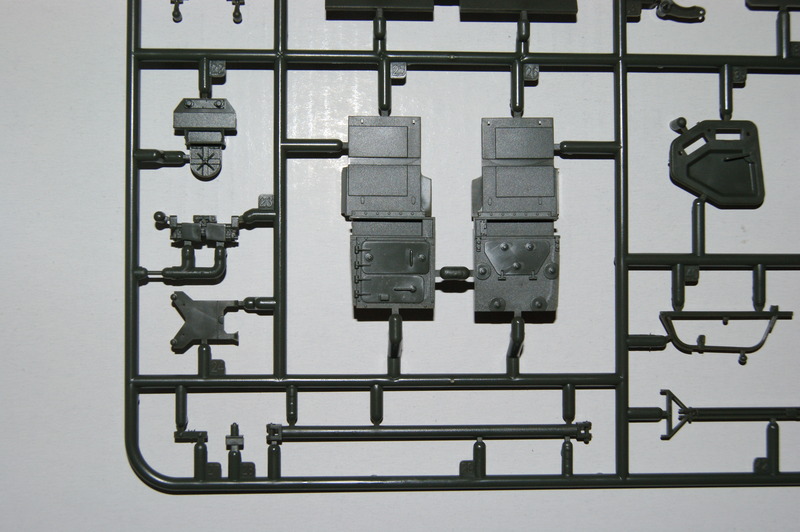 Perhaps not all modelers find that a good idea but I bet there are some folks who think more of these puzzles should be made. 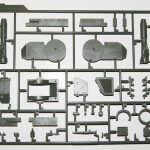 The kit itself then, what does it contain? 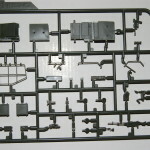 Instruction sheet: A nice A4 sized semi-gloss booklet with a coloured picture of the boxart on the front page and painting/decal scheme on the last pages. 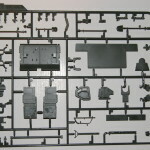 In between are the black and white build up instructions that are named after the parts that are build up or attached in the particular build section. 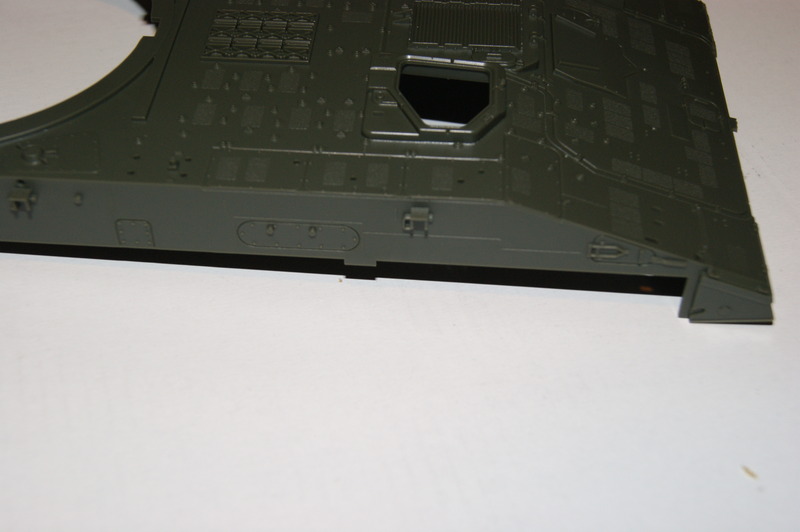 Upper hull: A nice detailed part with a lot of raised pieces and little patches of anti-skid coating. 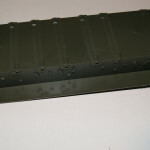 Lower hull: A one piece lower hull with some detail on the sides. 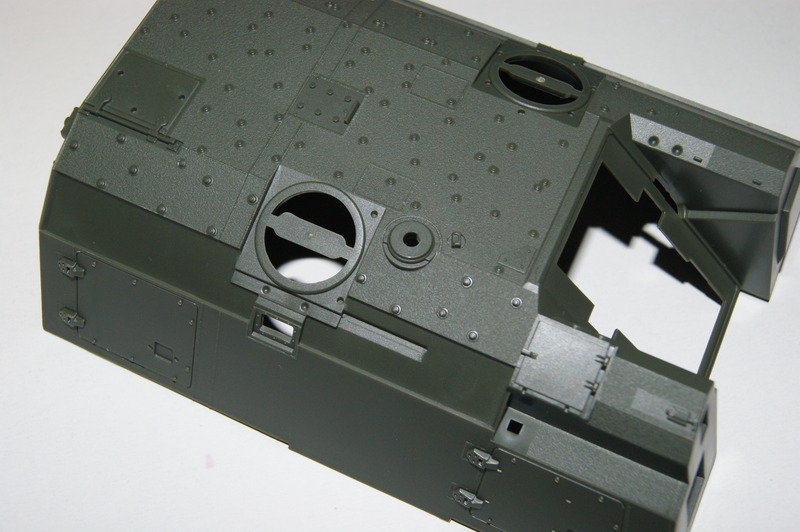 A dry fit with the upper hull promises a nice fit. 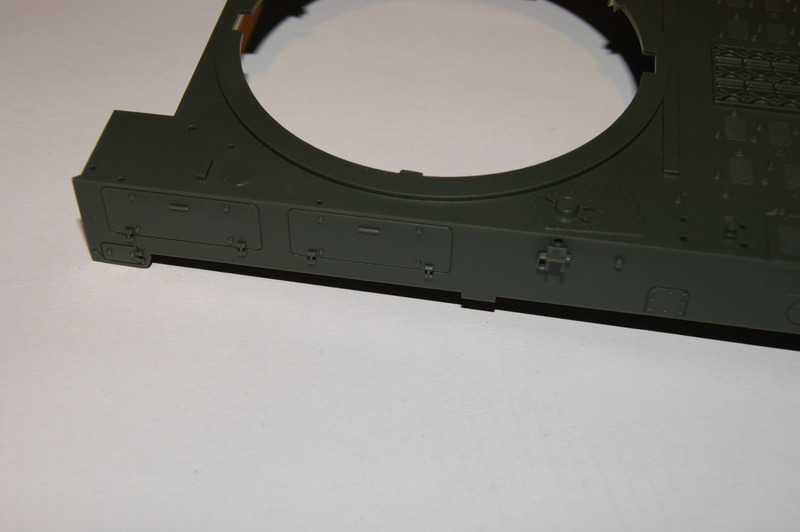 Upper turret: Again like the upper hull a lot of raised detail and patches of anti-skid. 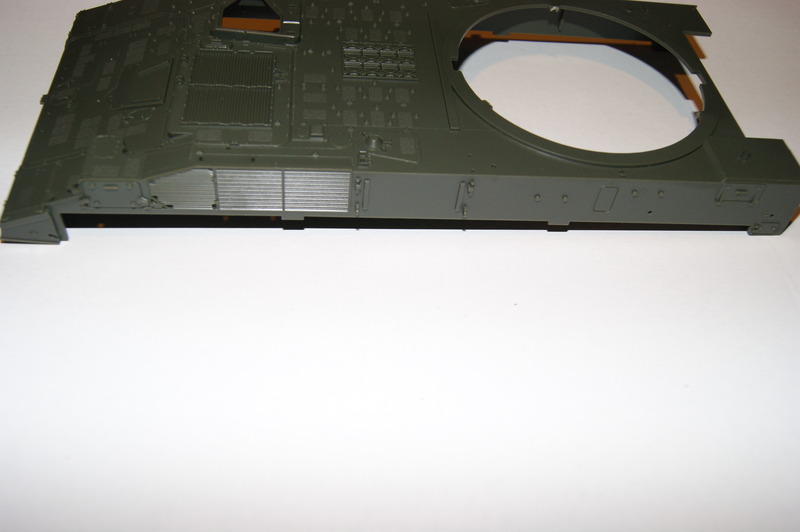 Laying this on top of the upper hull gives you an idea of the size of the model which is fairly large. 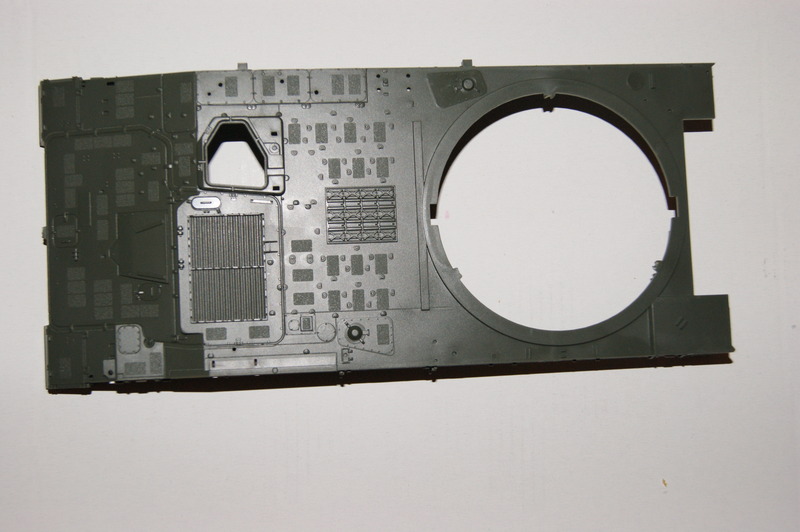 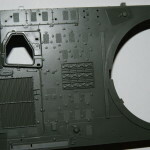 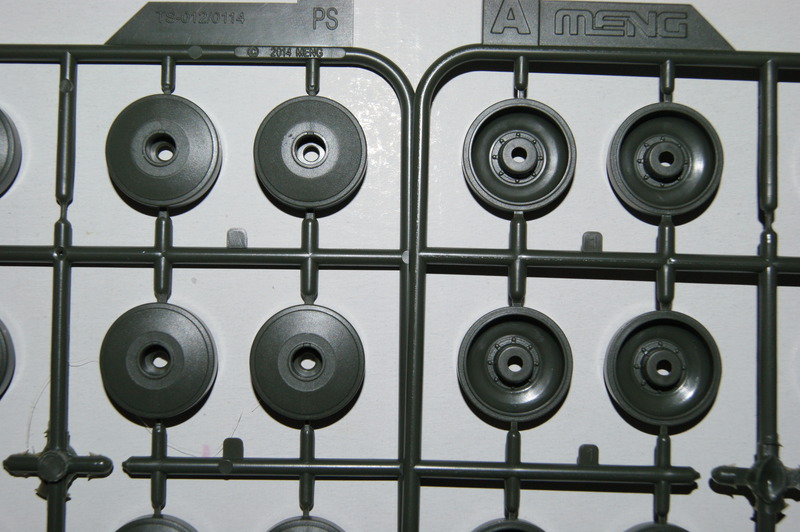 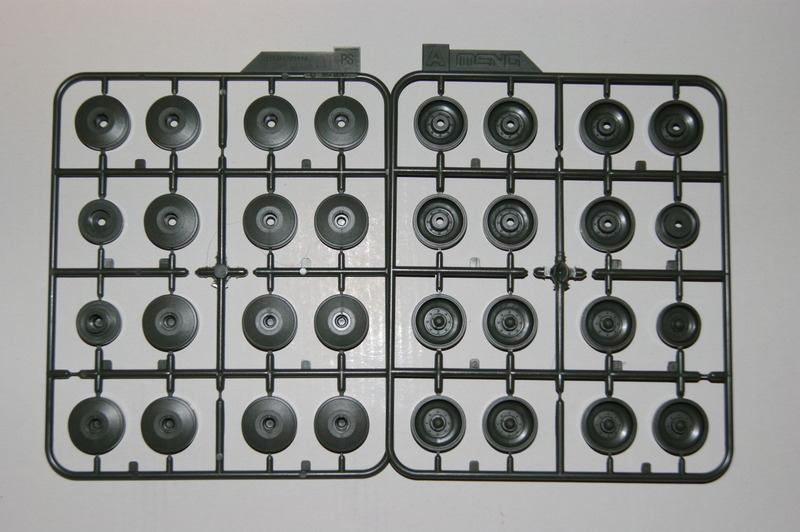 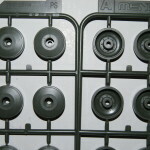 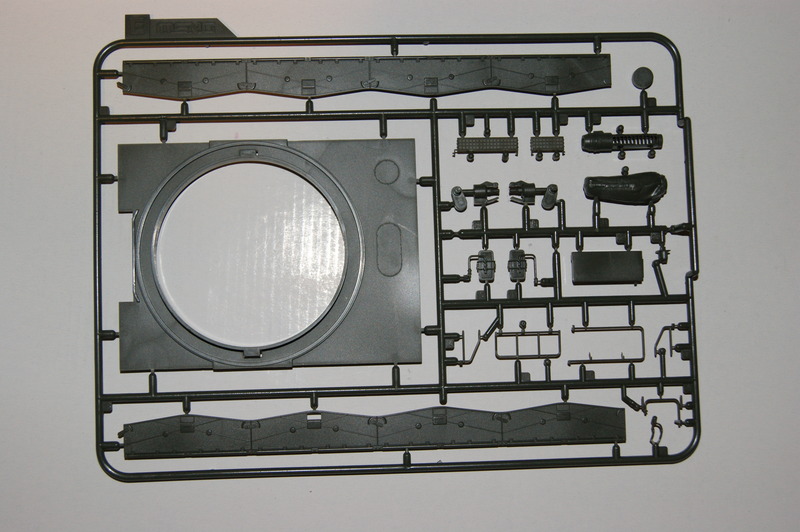 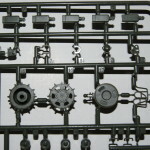 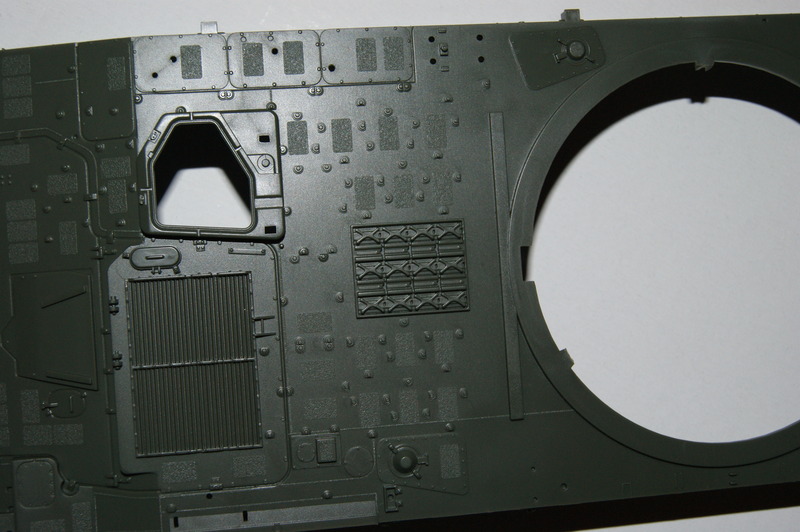 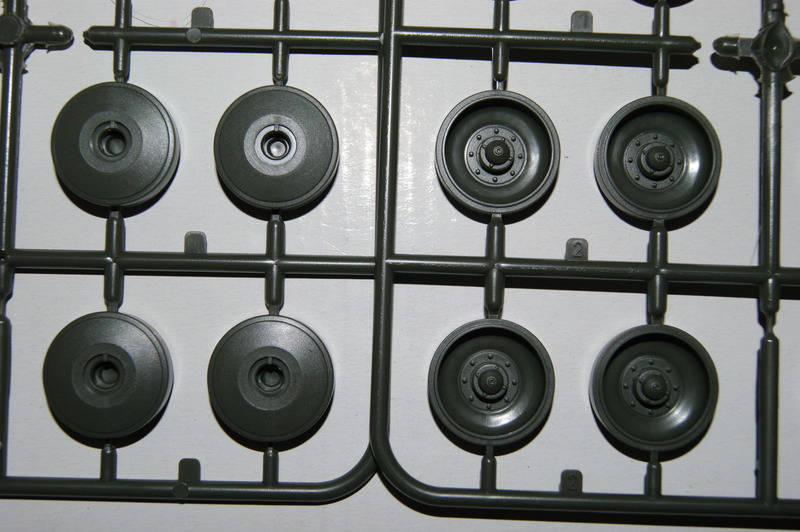 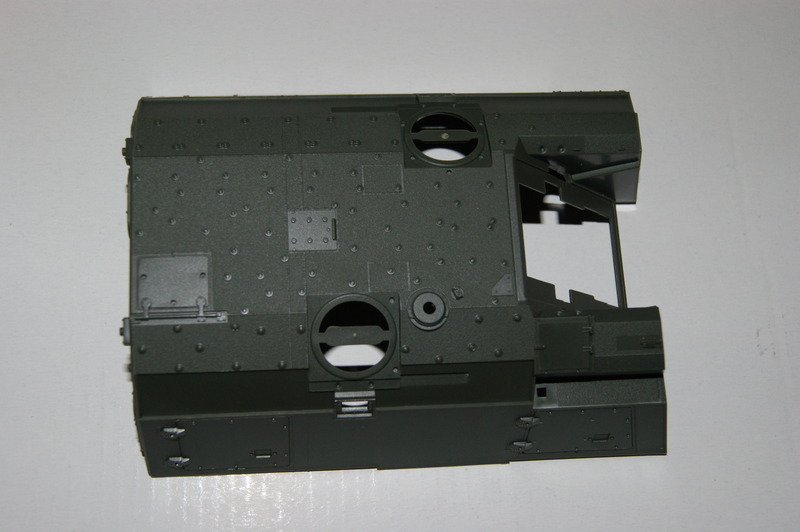 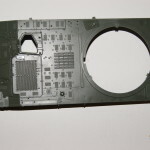 Sprue A (2x): The wheels of the vehicle. 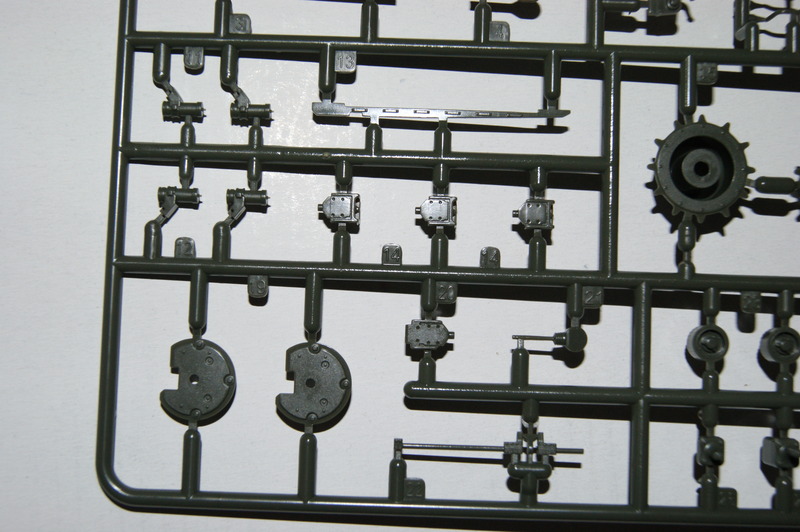 Nothing fancy about that but they are nicely detailed though. 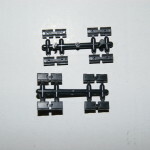 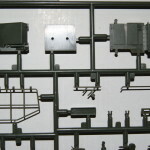 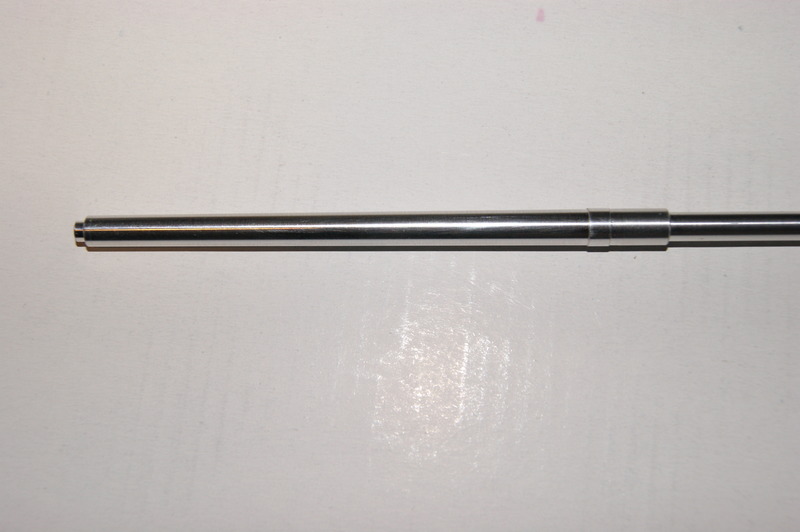 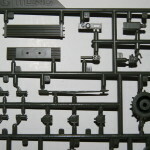 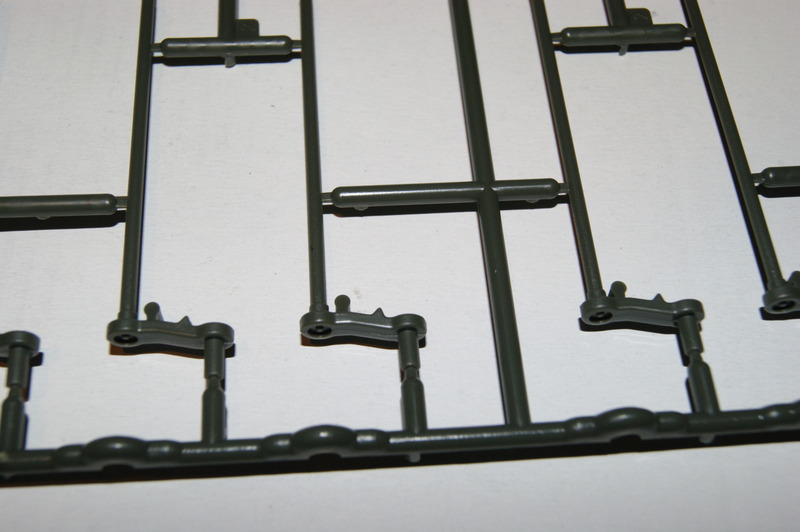 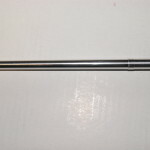 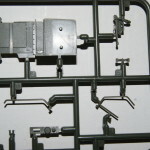 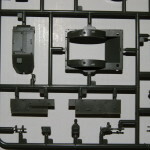 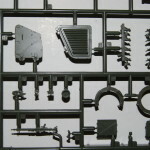 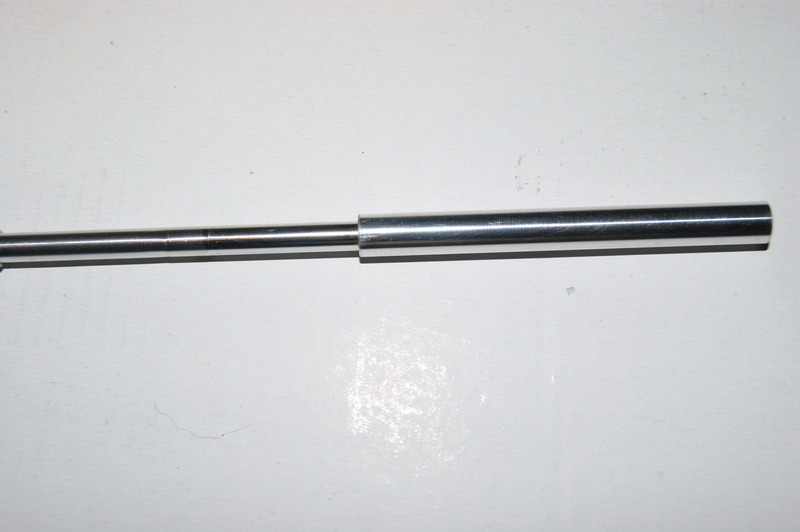 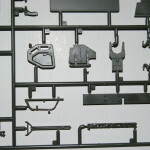 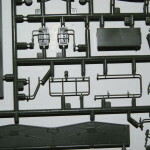 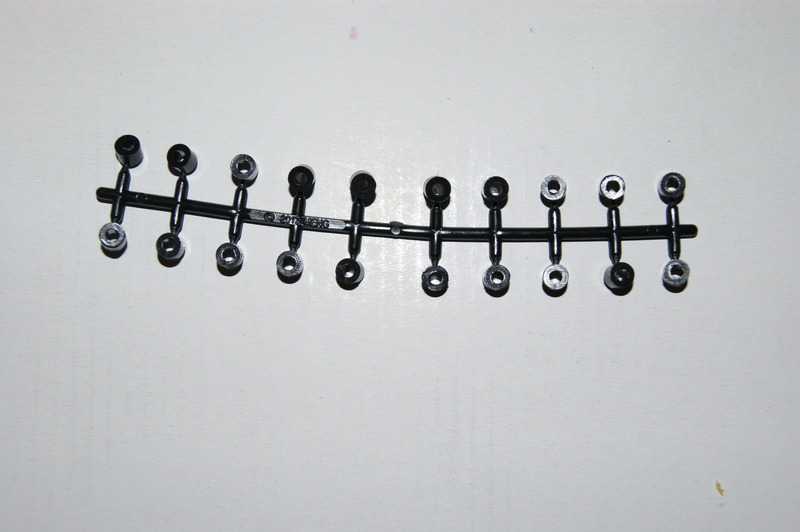 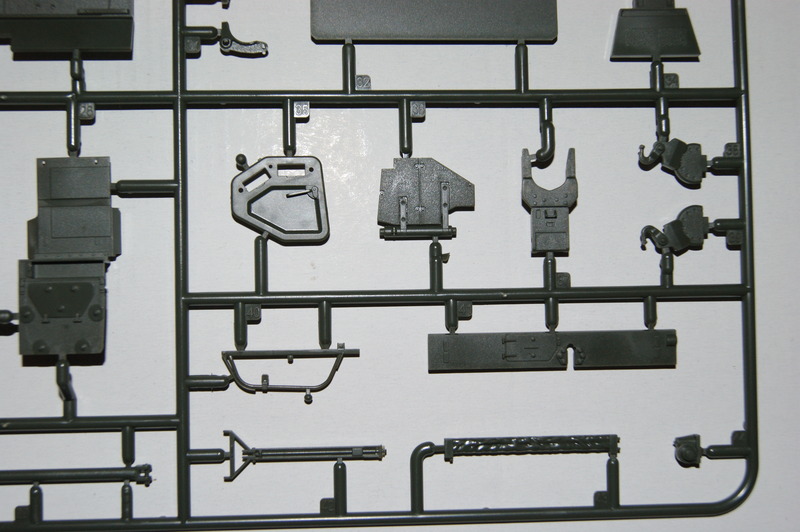 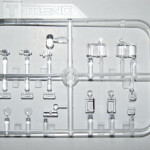 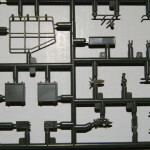 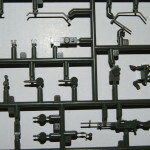 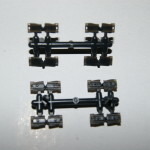 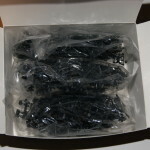 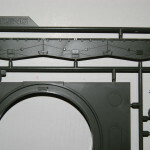 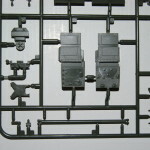 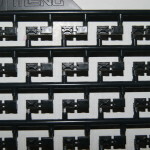 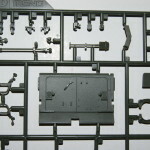 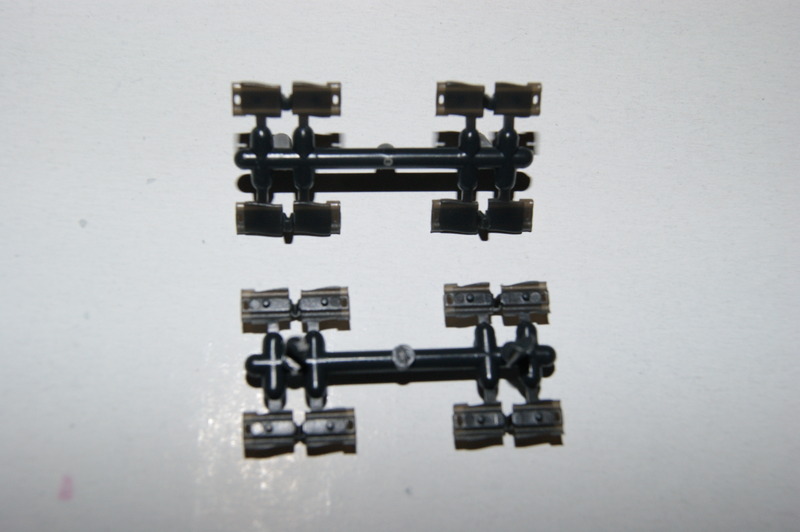 Sprue B: Suspension/torsion bars. 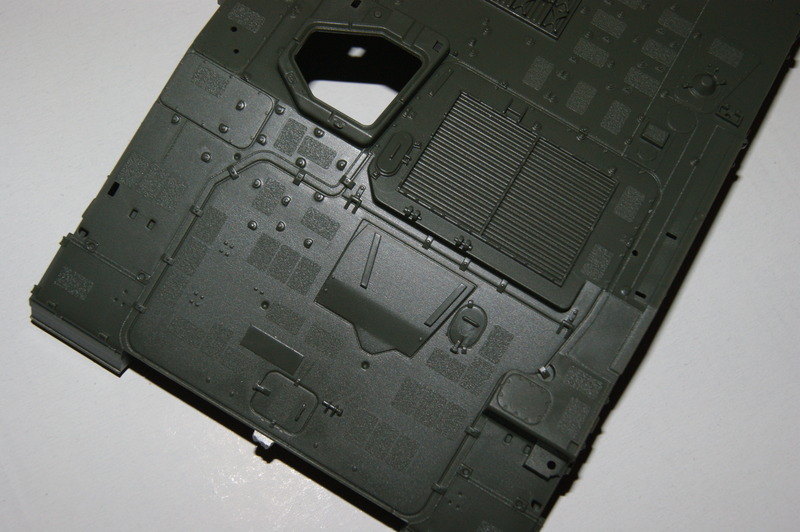 These do need a little clean up from the mold lines. 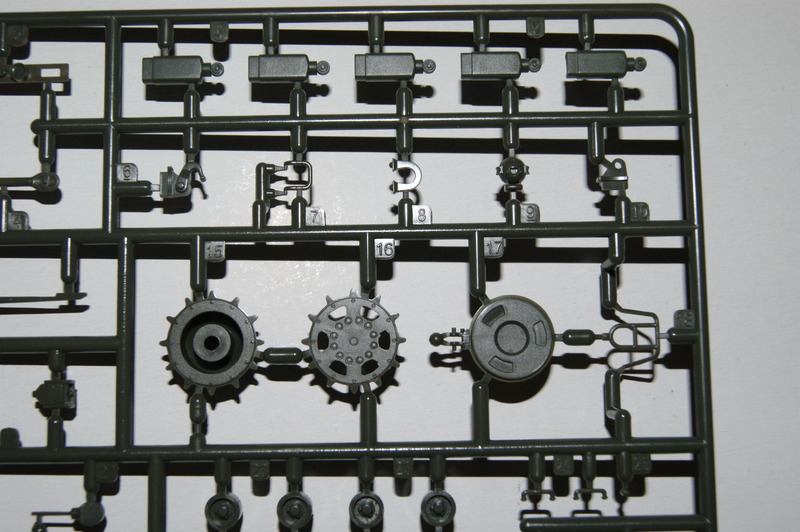 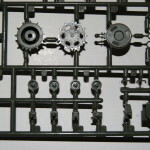 Sprue C (2x): Two small sprues with parts mainly for the sides of the lower, upper hull and sprocket wheels. 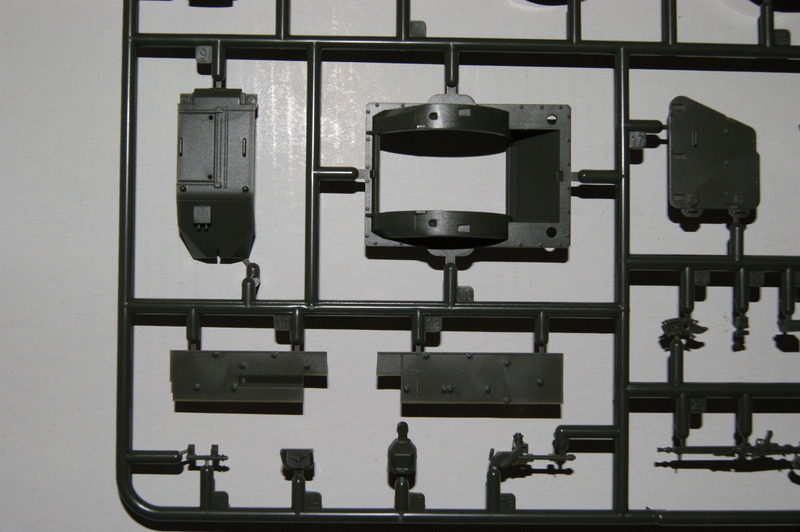 Sprue D: One of the biggest sprues with a lot of different parts, the most eye-catching are for the rear part of the hull, parts for the drivers hatch and some tools. 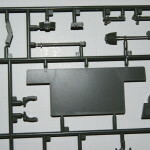 Sprue E: This sprue contains the lower part of the turret, skirts and a nice eye-catcher is the muzzle break which comes in two versions. 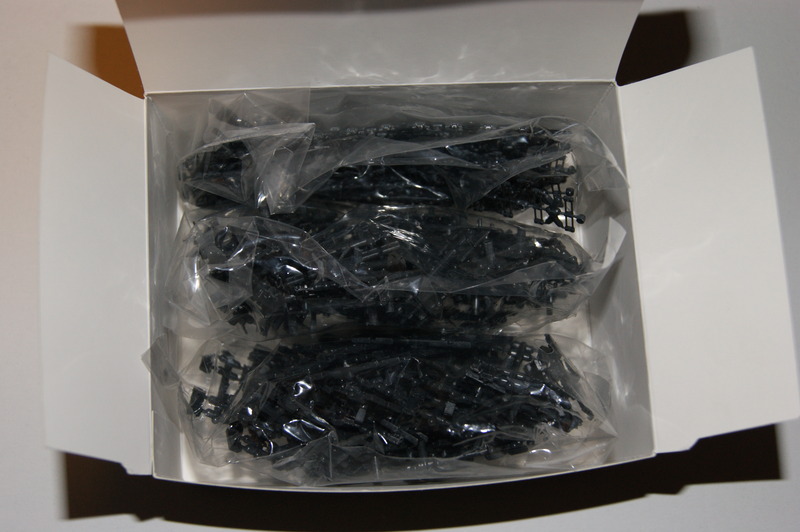 One sealed in a dust bag and one without. 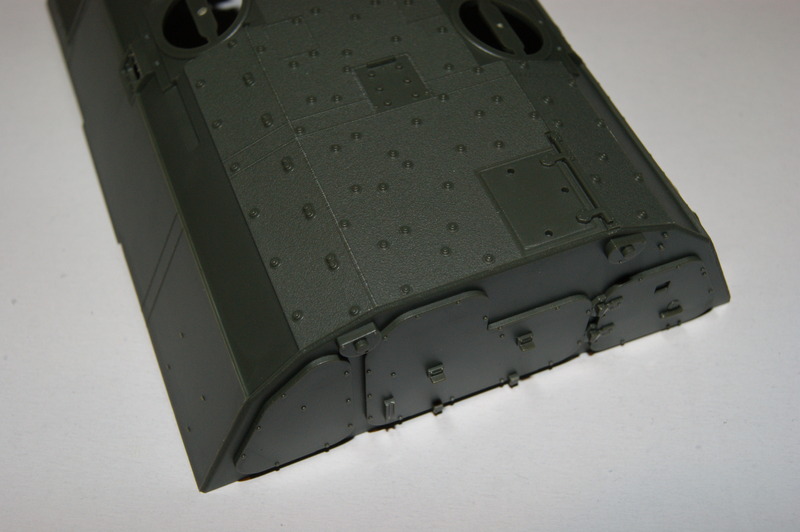 I think this is a very nice option. 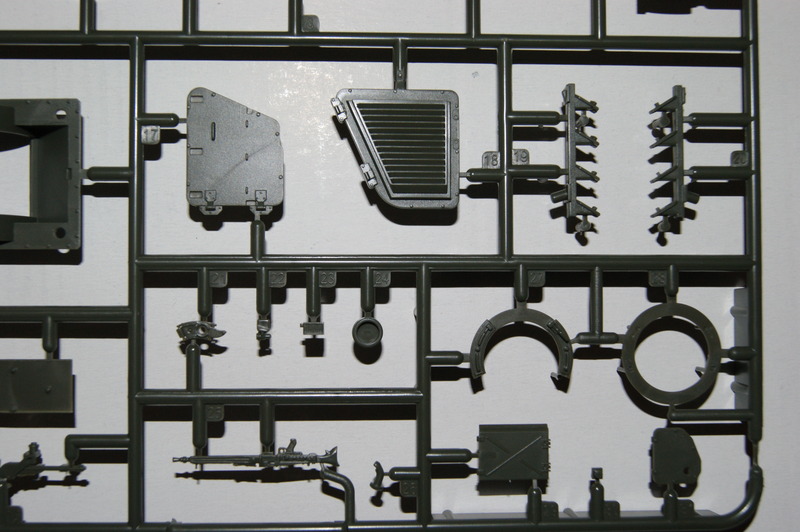 Sprue F: The biggest parts of this sprue are the two parts for the rotation piece but the biggest eye-catcher to me is the dust bag/fume extractor part. 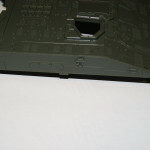 The dust bag has a nice sag and will look realistic on the finished model. 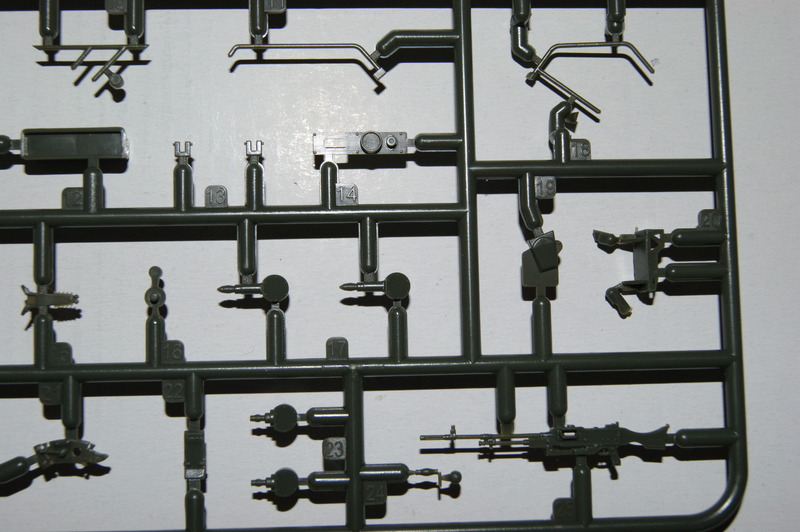 Also some smaller parts like some armour plating (with some nice weld seams) and a great looking MG3 for the German and Greek version. 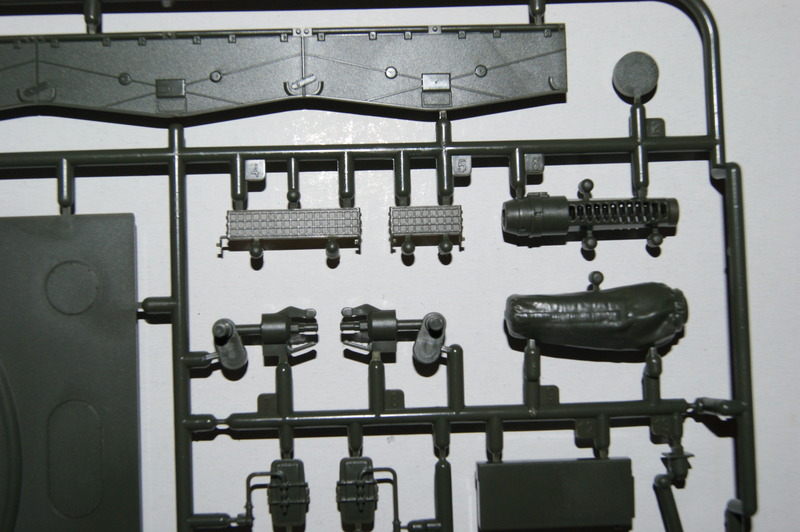 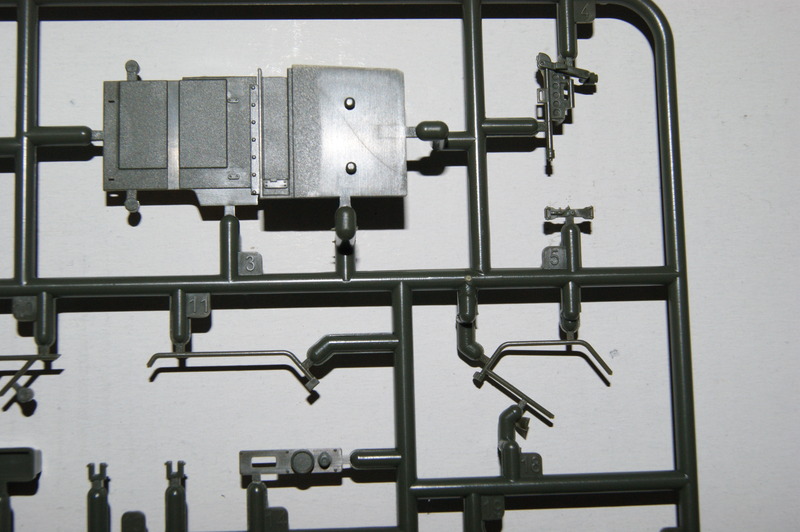 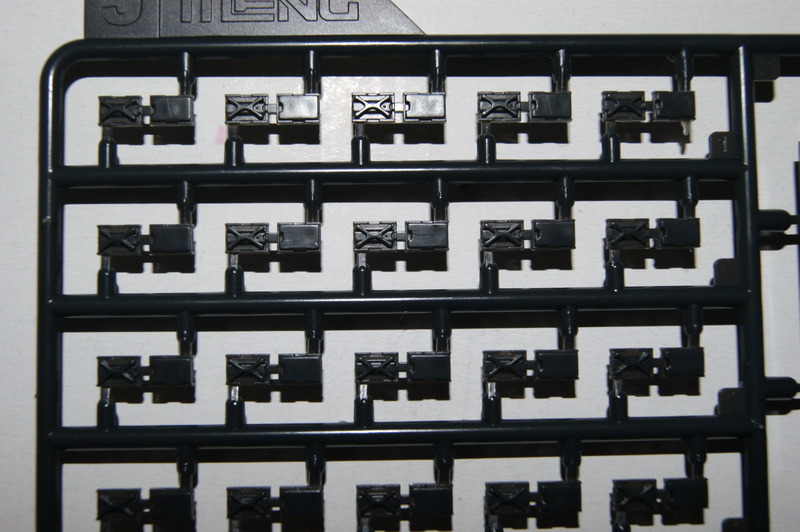 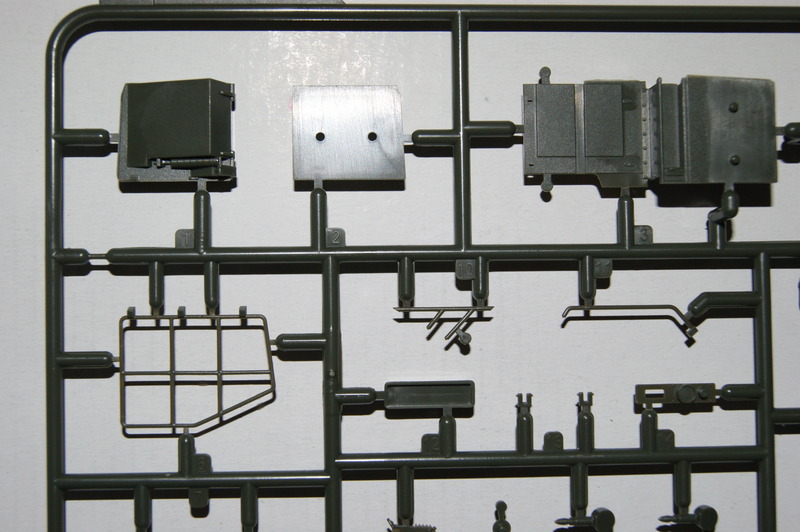 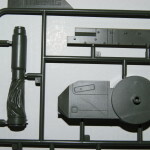 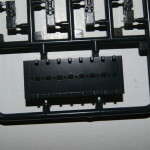 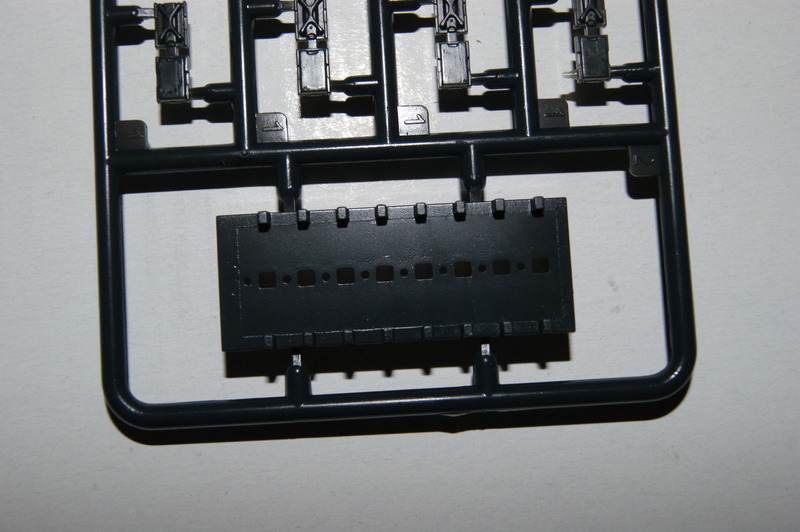 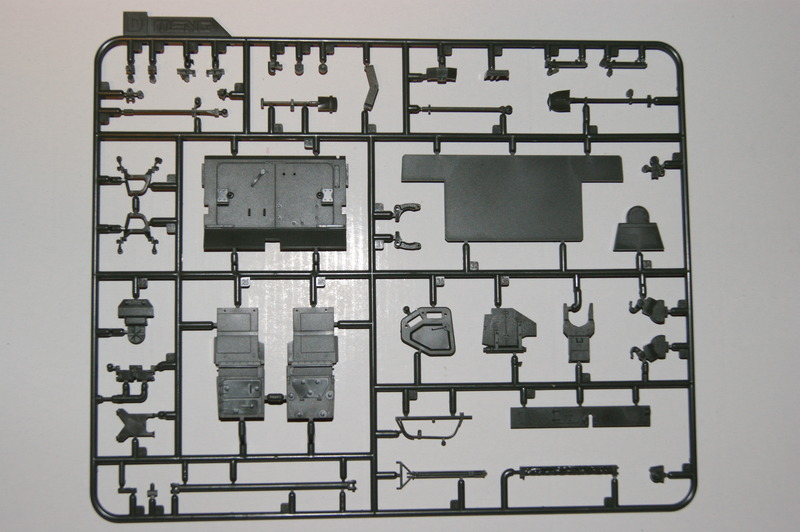 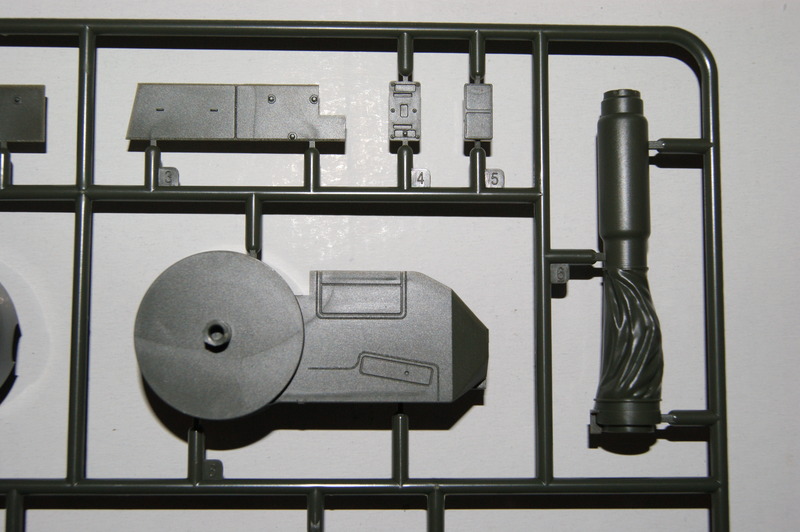 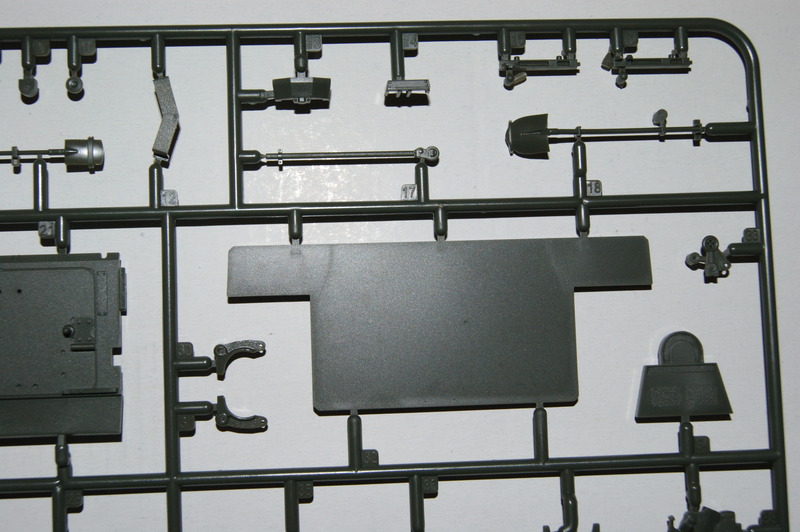 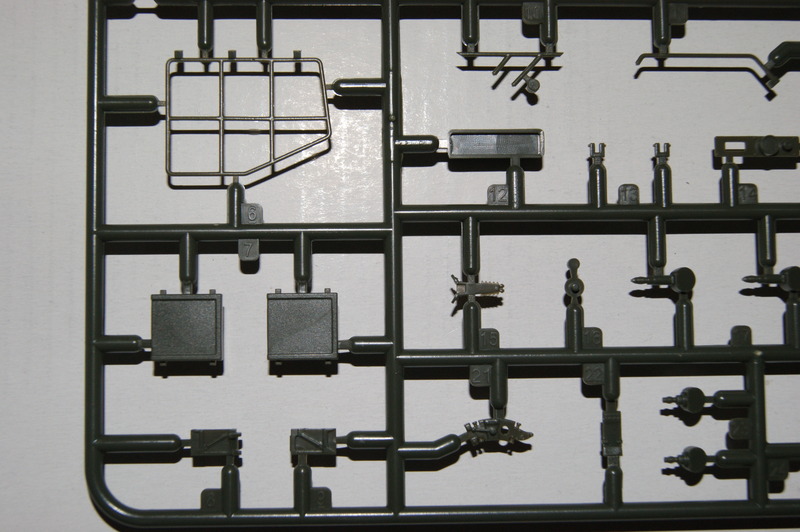 Sprue G: This sprue holds parts for the Dutch version, it has a different part for the left rear end of the hull and a FN Mag machinegun along with some other smaller parts. 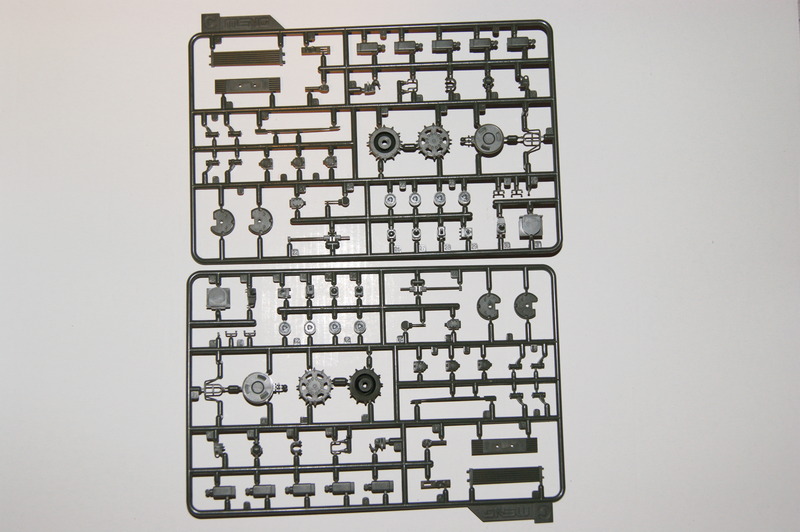 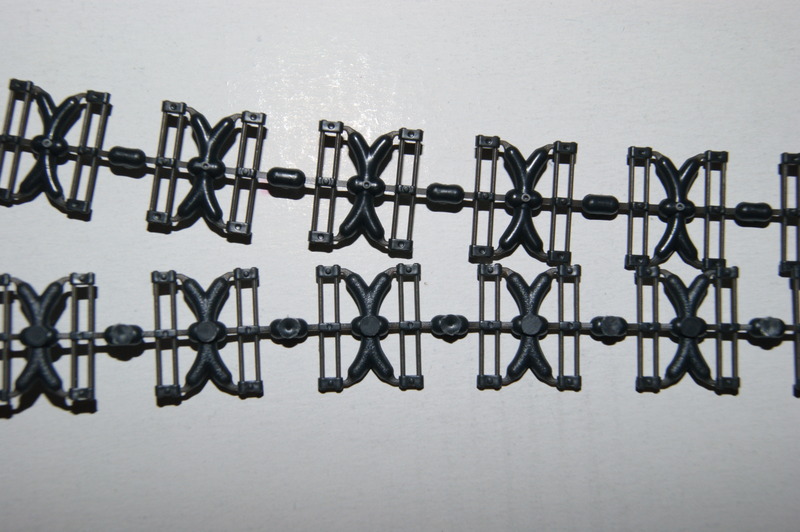 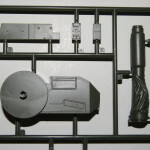 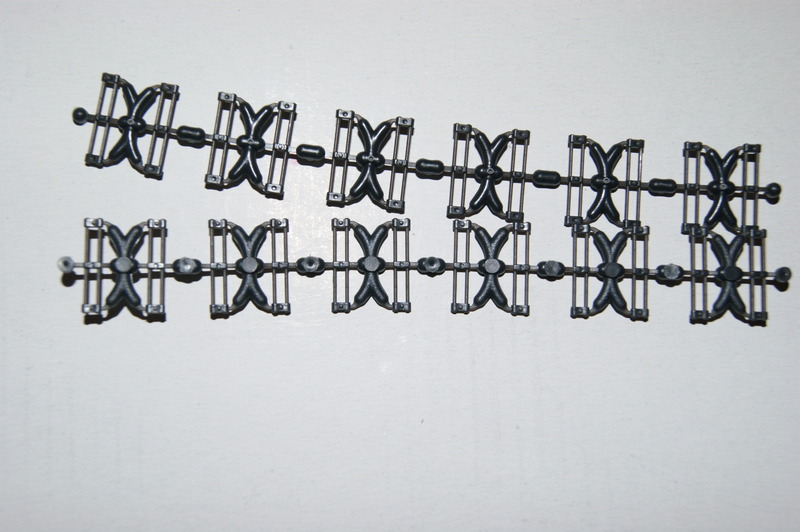 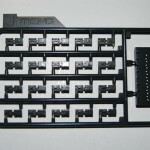 Sprue J: A small sprue with some wintertrack parts. 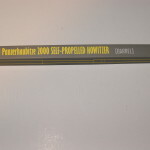 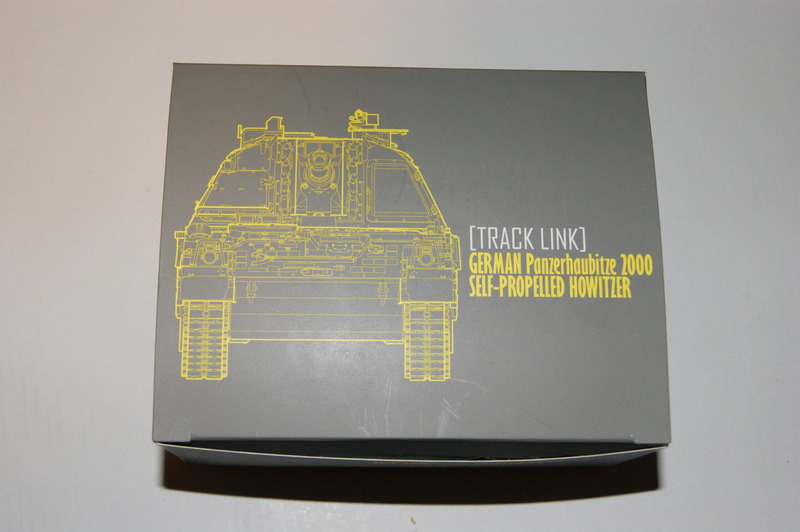 Also does it contain a small assembly tool for the tracks. 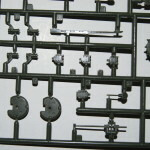 More about that later on. 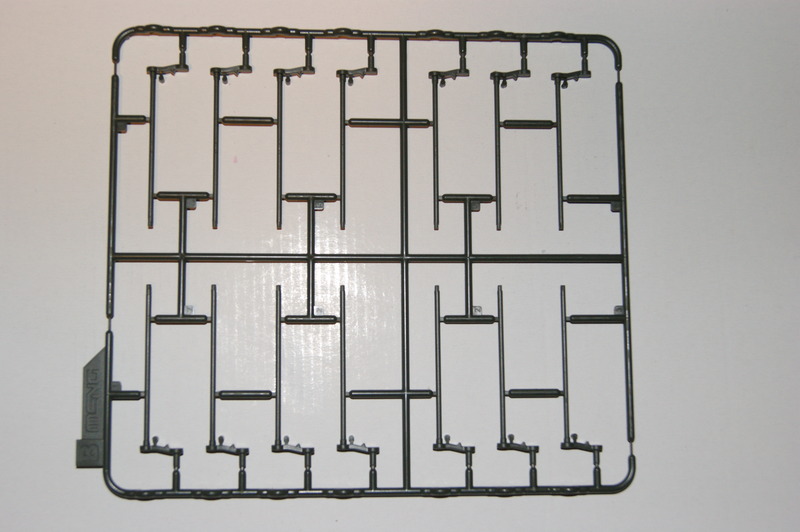 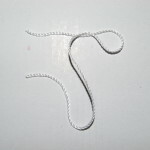 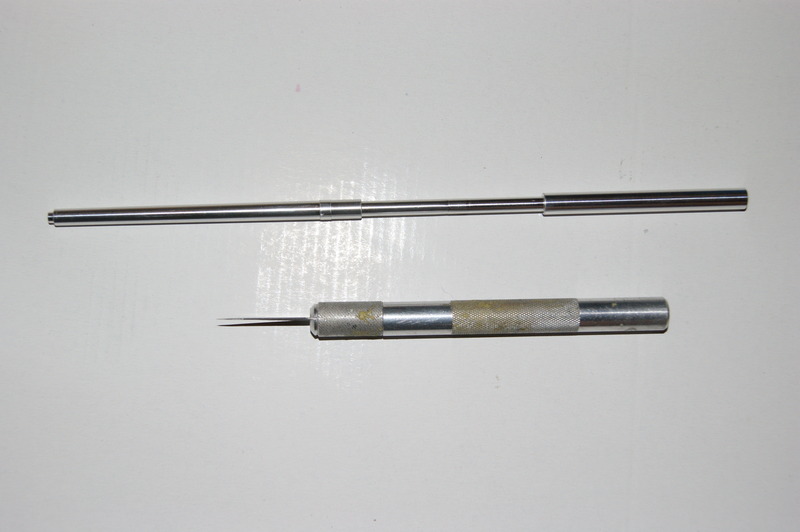 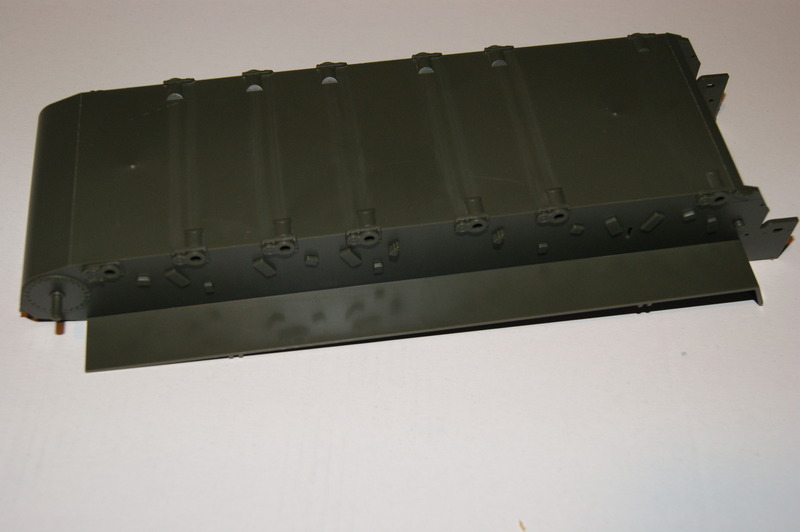 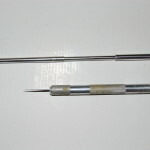 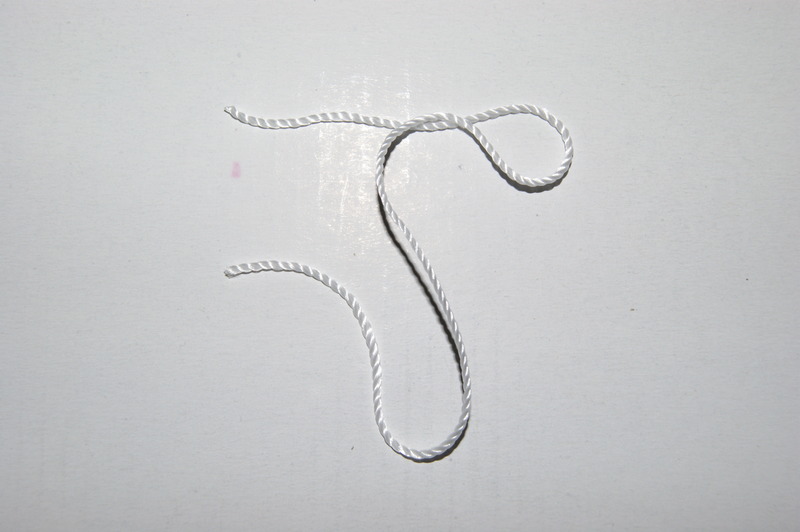 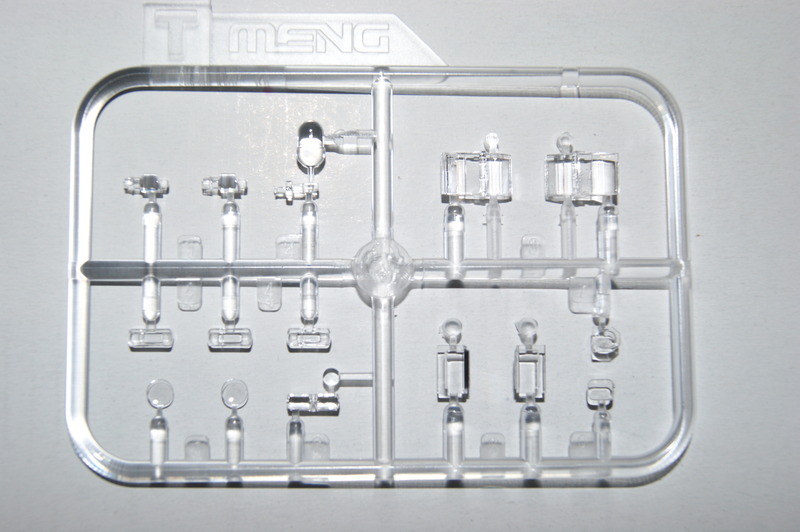 Sprue T: The clear parts sprue which holds the parts for periscopes and lights. 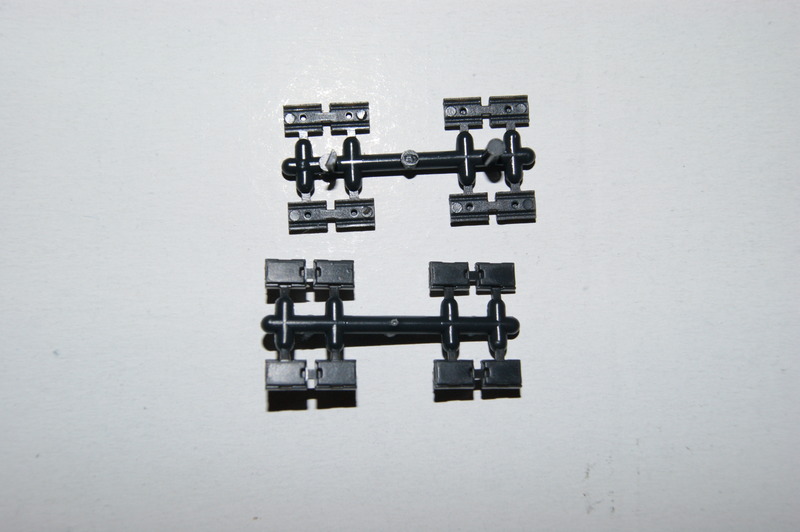 Track links: A box in box with three separate bags with three different track parts. 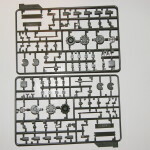 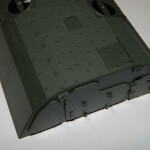 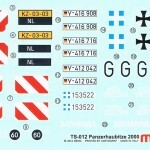 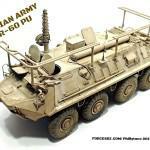 It seems like a lot of work but I’ve seen in a video on the Meng website what these can do and they look like they are worth the trouble and time needed to build these up. 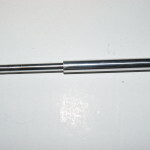 Metal barrel: A big metal barrel which also comes in a separate box. 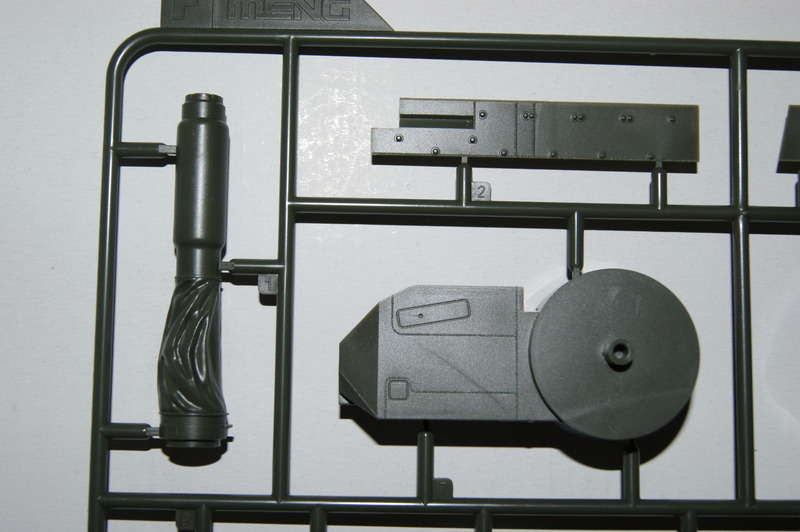 There will be some plastic parts added but luckily no sanding is needed on the tube. 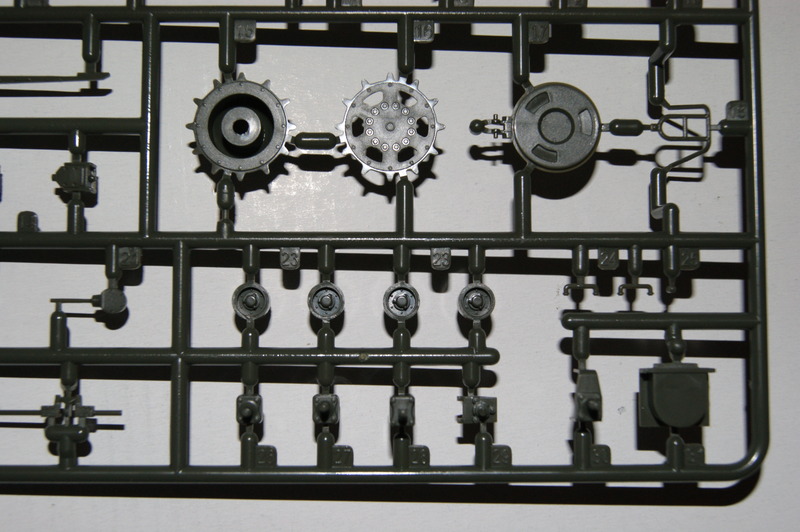 Pretty sure a lot of modelers are happy with that. 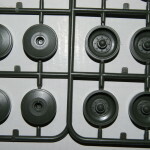 Poly caps: Obviously for the wheels and other parts that can be rotated like the main gun. 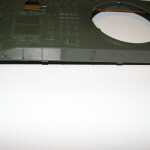 Photo etch: Two frets of photo etch. 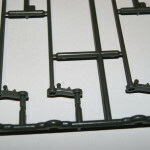 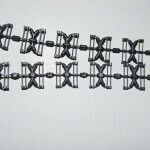 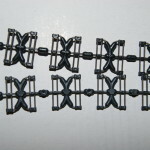 They look nice and are better than for instance cut out mesh for the storage brackets. 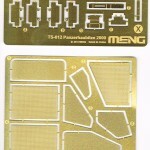 A really nice kit again from Meng. 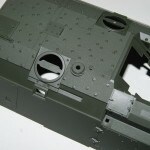 The detail in this kit is like most other Meng kits on a high level and like always little to a few points of criticism are to be found. 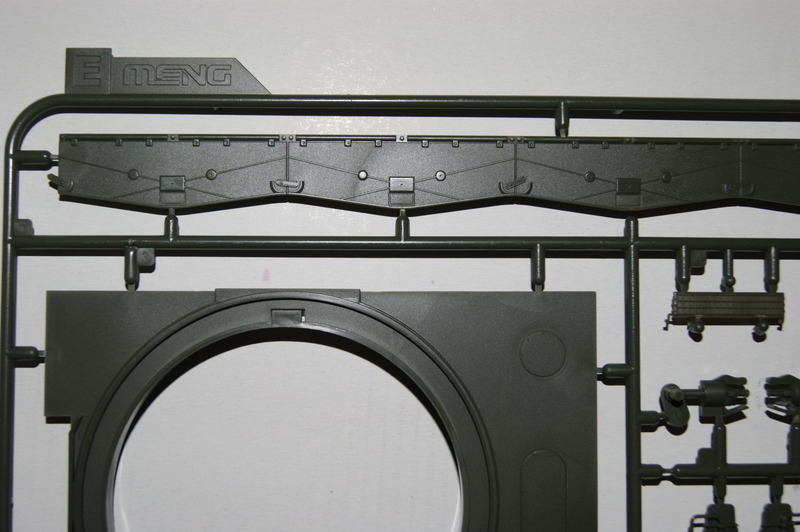 The fitting of Mengs kits is mostly good and I have little doubt that this will be different in this one. 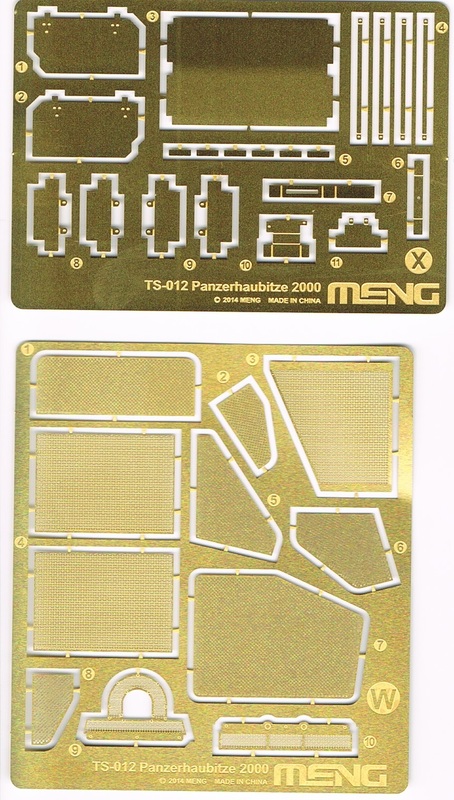 Perhaps a detail-modeler will find some points that aren’t 100% accurate but in general lines Meng have created another beauty here. 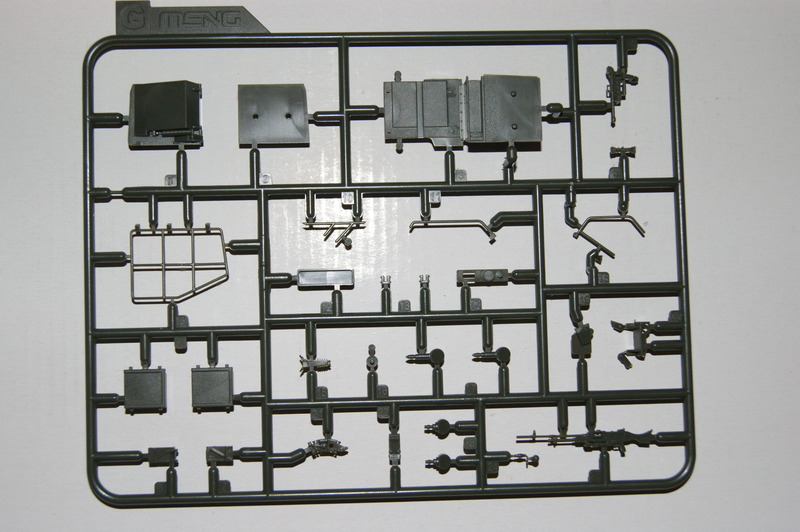 Only thing I regret in this kit is that for a desert version of this vehicle you need to purchase a whole different kit. 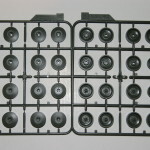 Of course this can be seen as clever marketing but personally I would rather have seen both options in one box. 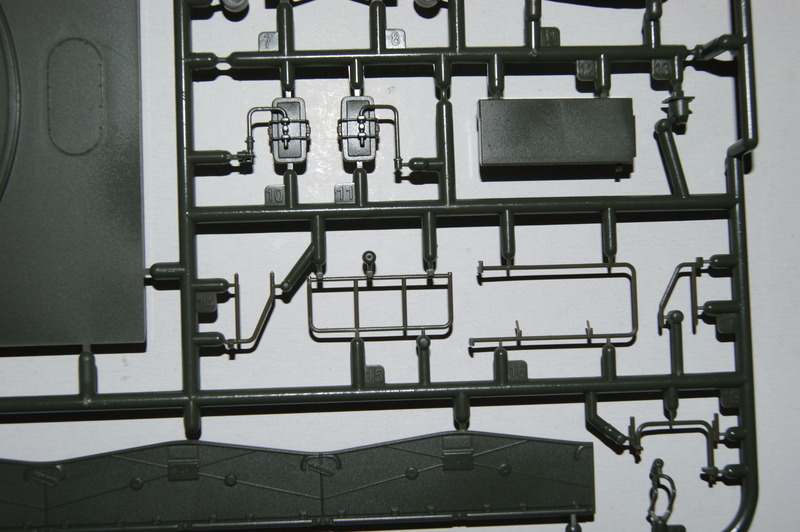 So in short a great kit with some nice options. 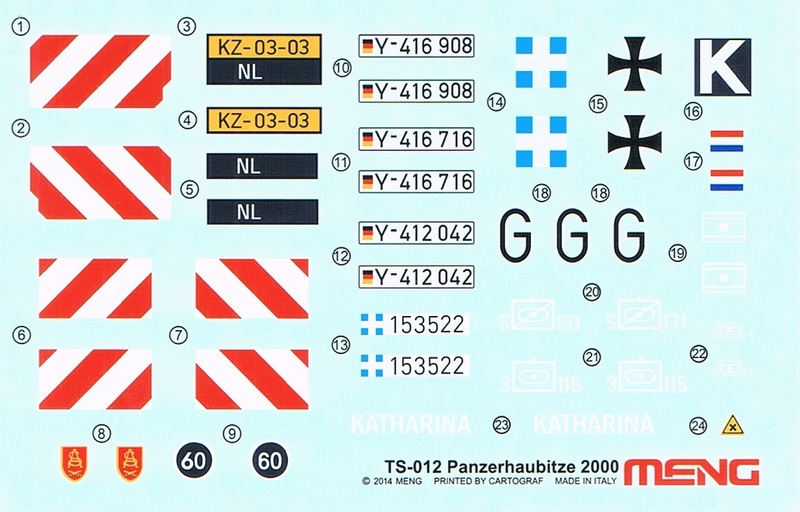 Personally I love it that the Dutch option is given and the Greek option will look nice to as the painting scheme is different compared to the Dutch and German version. 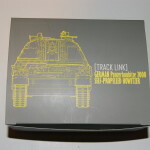 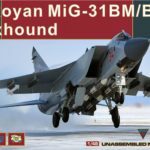 Other than the desert version part I mentioned earlier nothing big was noted.